There is a variety of fruits that are abundant in the Philippines that are thankfully, also available in our local grocery stores. I always buy Mexican mangoes (Manila mangoes are not available), saba (bananas similar to plantains), papaya, pakwan (watermelon), and pinya (pineapple). 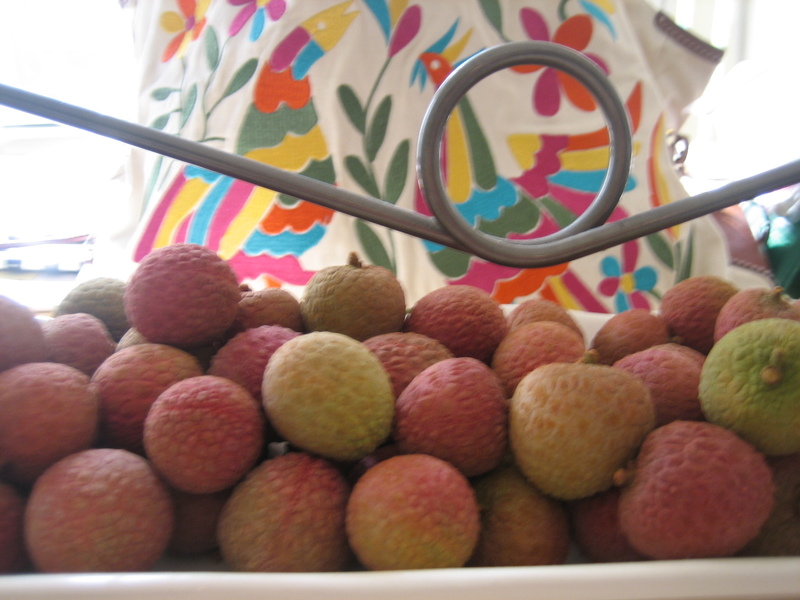 On my recent grocery trip, I bought rambutan, langka, lychee, and sampaloc (tamarind) for my children to sample. I remember our langka tree in our backyard in Manila that bore only one huge fruit. What was sold in the local store was probably just an eighth of a whole fruit. Although inexpensive at $4, I would not have bought it, if not for my children who I am sure would be thrilled to see such a spiky fruit. 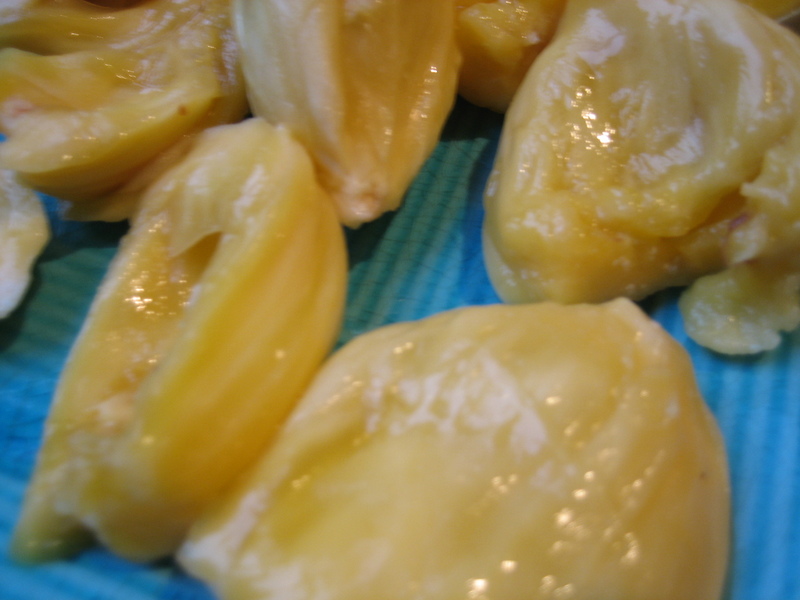 Langka (jackfruit) is not a favorite of mine. My daughter tried half a fruit, and graciously declined the rest. My son finished one, and ate two more. He was eating the whole time with a confused look on his face. He said that he liked it because it was sweet, but couldn’t quite figure out if he liked the after taste. 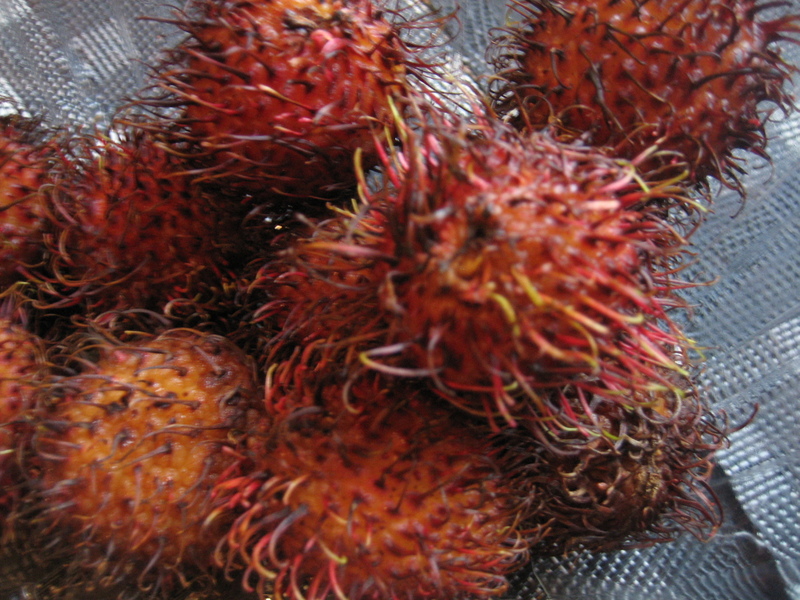 Rambutan, a favorite of mine, was an instant hit. This fruit was much more expensive though. About 20 pieces of the sweet fruit cost just as much as a pound of cherries. They could not get enough of this. Another hit was the lychee. They have only tasted the canned fruit from the toppings at frozen yogurt places. I am glad that they love the fresh fruit more. 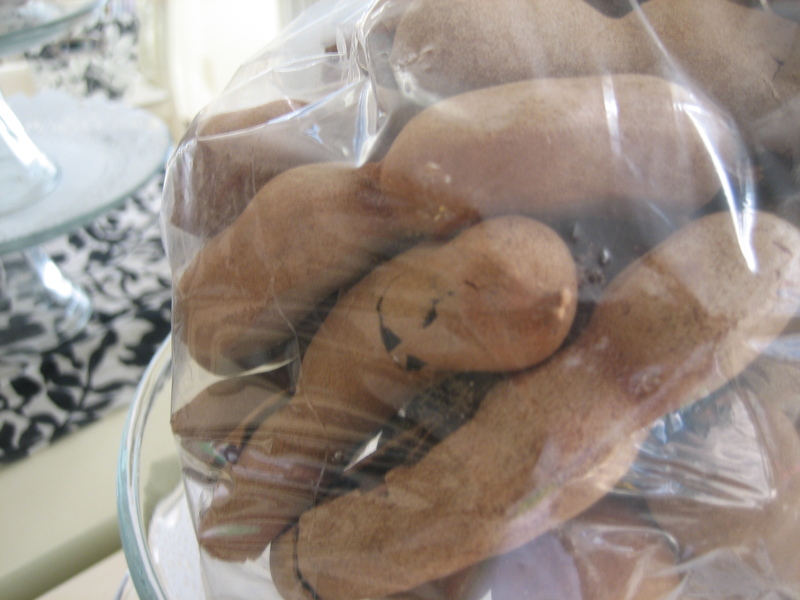 Sampaloc was the fruit that they were excited to eat. They found the brown shell interesting. “If it is ripe, it is sweet”, I said. They cracked the shell, tasted the fruit, and said, “This is not ripe”, and then left the poor half open sampaloc on the table. When life was less complicated, I had the idea of making my own *sinigang mix. I pooh-poohed the mix that was sold in stores. I bought a bag of fresh sampaloc and boiled it. Who would have known that if you cook sampaloc too long, it would turn into jam. From then on, I embraced the sinigang mix. *Sinigang is a Filipino soup that usually uses tamarind for the sour flavor. Posted in A Taste of the Philippines and tagged Filipino, food, langka, lychee, Philippine fruits, rambutan, sampaloc. Bookmark the permalink.